Hassan Mushaima is a 70-year-old Bahraini citizen currently serving a life sentence in Jau Prison on political charges. He was sentenced for “attempting to overthrow the government” for his role in the pro-democracy protests in 2011. He remains in Jau Prison, where he has been subjected to ill treatment, including the continued denial of healthcare and restricted access to medication by the prison administration. Hassan was previously the Secretary-General of the Haq Movement for Liberty and Democracy and Co-founder and former Vice President of al-Wefaq National Islamic Society, the largest political opposition group, which the government of Bahrain dissolved in 2016. He is currently detained in building 7 of Jau Prison in alarming conditions, where many political figures who participated in the protests are also subjected to similar ill treatment. All the inmates of this building have been segregated from the general population for over two years. Since February 2017 the prison has implemented new policies designed to humiliate and degrade them, particularly the requirement of full wrist and ankle shackles to visit the prison clinic and receive medical care. A number of political prisoners, including Hassan, have refused to subject themselves to this abuse, and the prison staff has flatly refused to seek alternative methods to shackling, leaving these individuals completely deprived of medical care. In October 2017, the prison authorities also arbitrarily confiscated all books, personal items, and writing materials from Hassan and the others in building 7, including religious texts. Hassan suffers from a myriad of chronic medical conditions, including cancer, diabetes, high blood pressure, and gout. His cancer is in remission, but he requires regular screenings every six months to ensure that it has not returned. However, the prison authorities have consistently restricted his access to these crucial screenings. He has not been screened for cancer since September 2016. Further, he has not seen any physician since March 2017. Hassan has not received his medication for diabetes and high blood pressure on a consistent basis since August 2017. He reports that prisoners often have to borrow medication from one another when prison officials skip dosages or provide a lower dose than is required. The prison authorities failed to provide Hassan with medication for his diabetes for more than a month during November and December 2017. The Special Procedures offices of the United Nations Human Rights Council have sent six communications to Bahrain concerning Hassan Mushaima between February 2011 and April 2014. However, his conditions of detention have not improved. In response to this continued denial of healthcare and medication, his son Ali Mushaima started a hunger strike outside the Bahraini embassy in London on 1 August 2018. Ali says that he will remain there and continue his hunger strike until the Bahraini authorities provide his father with medical care, permit him to have family visits unencumbered by shackles, and return his books. On 8 August 2018, authorities took Hassan to the Bahrain Defence Force (BDF) Hospital without shackles, but Ali reports that he did not receive medical tests or cancer screenings. As of mid-August 2018, Ali Mushaima’s hunger strike continued. The Government of Bahrain has violated a number of its international obligations in its treatment of Hassan Mushaima, including the International Covenant on Civil and Political Rights (ICCPR), the Convention Against Torture and Other Cruel, Inhuman and Degrading Treatment or Punishment (CAT), and the International Covenant on Economic, Social and Cultural Rights (ICESCR). Bahrain is a party to each of these treaties. Hassan’s detention on the basis of his political activities is arbitrary and unlawful, in violation of Articles 9, 18, and 19 of the ICCPR. The denial of necessary medical care is in violation of Article 12 of the ICESCR, which provides for the right to health, and the denial of such care as a form of punishment may amount to torture in violation of the CAT and Article 7 of the ICCPR. Further, the conditions of detention for Hassan and other individuals in Jau Prison fail to meet the standards set in the United Nations Standard Minimum Rules for the Treatment of Prisoners (Nelson Mandela Rules). 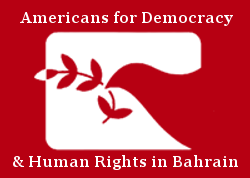 ADHRB calls on the Government of Bahrain to release all individuals who have been imprisoned for their political or human rights work, particularly Hassan Mushaima. Further, we call upon the prison authorities to provide necessary medical care and medication without subjecting prisoners to degrading and humiliating measures such as shackles. Finally, we urge the government to investigate all claims of torture and ill treatment in Jau Prison and other detention facilities, in line with Bahrain’s treaty obligations.